Before CES officially kicks off, Lenovo thought it’d get ahead of the game (to beat the inevitable influx of other announcements) by unveiling a new line of consumer laptops – the Y Series. The 16-inch Y650, 15-inch Y550 and 14-inch Y450 all share the same design, with a rather perty black and copper outer shell with an “interlocked hexagon pattern,” and 16:9 aspect ratio. This, alongside the integration of Dolby Home Theatre Surround Sound, points to multimedia usage – and they’ve made it easy. Both audio and video can be accessed and controlled via a quick launch button that triggers a software app called the OneKey Theatre. There’s also a touch sensitive slide bar and MacBook-esque touchpad to switch between apps and do really cool things like zoom into images. All three models sport Intel Centrino 2 class CPUs, up to 4GB of RAM, up to 500GB of hard drive space, and optional Nvidia graphics and Blu-ray drives. 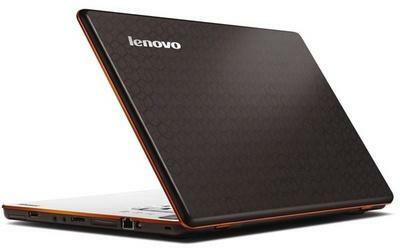 Prices are expected to start from $1,199 for the IdeaPad Y650 and $829 for the IdeaPad Y550 and Y450.